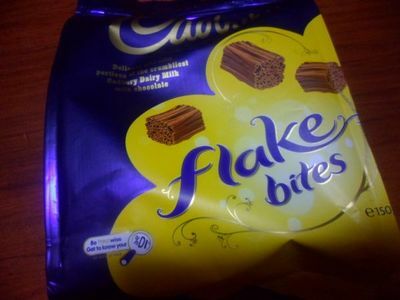 Cadbury's Flake is one of my all time favourite chocolate bars, but the flakey deliciousness of its full sized version was also Flake's Achilles heel - it was just so crumbly that bits and pieces fell everywhere as you peeled the wrapper away! But never fear, Flake lovers out there. Tiny Flakes have arrived! 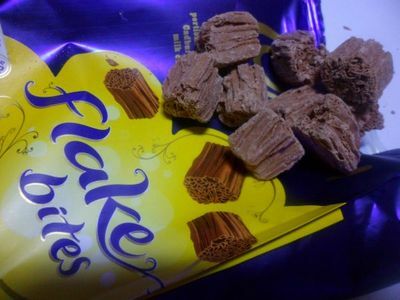 Cadbury's Flake Bites have done away with some of their crumbliness in favour of small chunks that retain their classic Flakey texture and taste. All in a handy carry bag that can be (most of the time, sort of) resealed. Flake Bites are a highly munchable snack that can be devoured almost mess free from their carry bag, making them a perfect snack for the commute, the movies, or anytime you feel like a chocolate hit. Definitely one of my new favourites, although you can never beat the original! Best Indian restaurant in Melbourne?